Gimex Table Clip Cup Holders from the Quest Leisure range of outdoor products, provides a practical dining accessory whether drinking on a patio, balcony or enjoying festivals or camping. Provided in a range of assorted colours to suit any taste. The Table Clips from Quest are designed to offer a sturdy place to hold glass cups and cans, using a universal clip allowing provision of an additional non-spill cup space. Family and leisure dining spillages are therefore minimised so patio or garden furniture is not stained by drink spills. 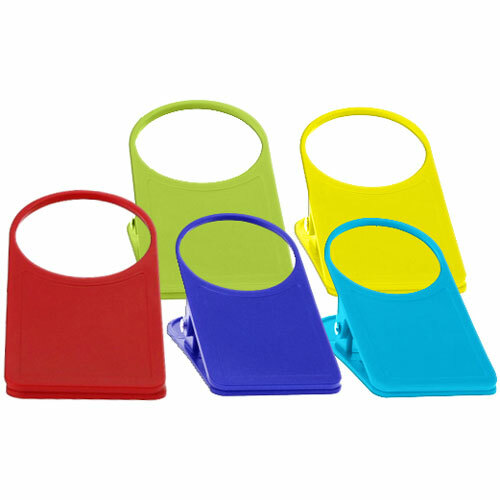 Additional benefits of the table clips is to gain extra table space for drinks, when a dining table room is challenged. 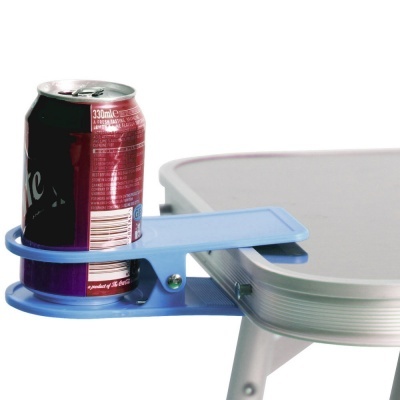 Clip cup holders can also be clipped to chair frames to provide a drink holder where a side table is not available.